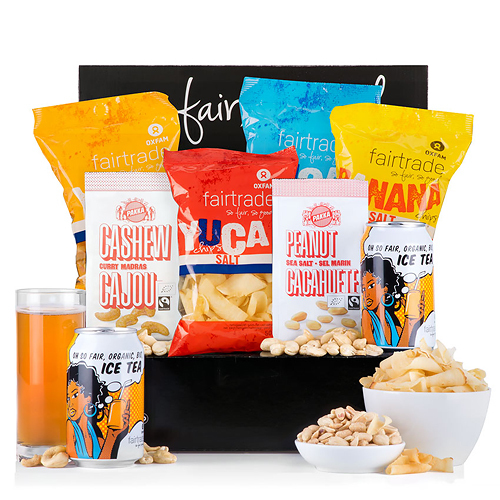 Make it a Fair Trade celebration with Oxfam's best savory Fair Trade products! 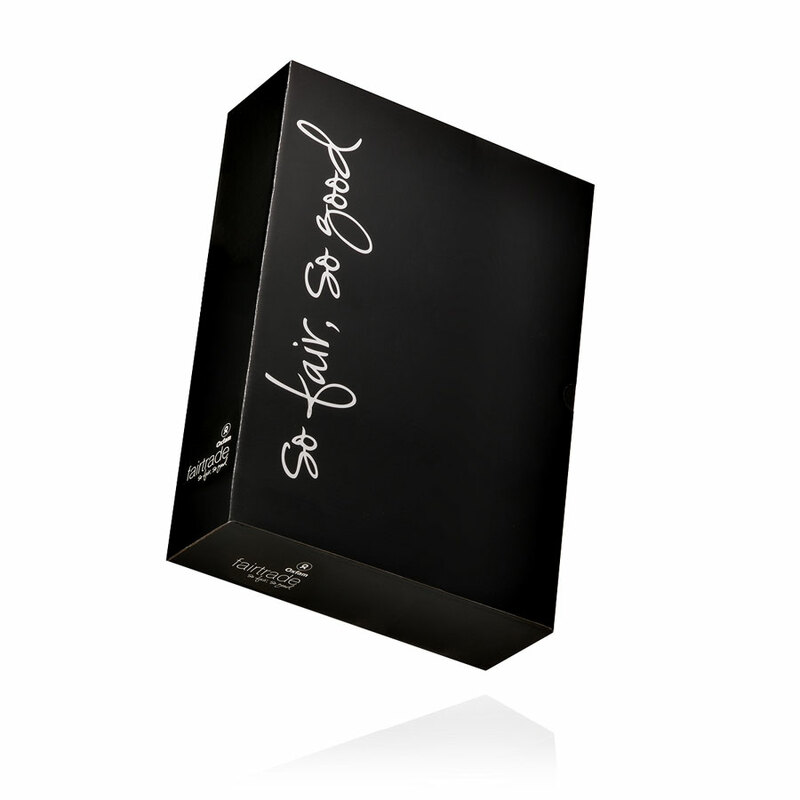 We have packed a tempting assortment of Fair Trade snacks into a stylish black gift box. Enjoy salty banana chips, addictive Yuca chips in salt, taco, and paprika, and Pakka curry cashews and sea salt peanuts. Wash it all down with Oxfam's refreshing Fair Trade ice tea. 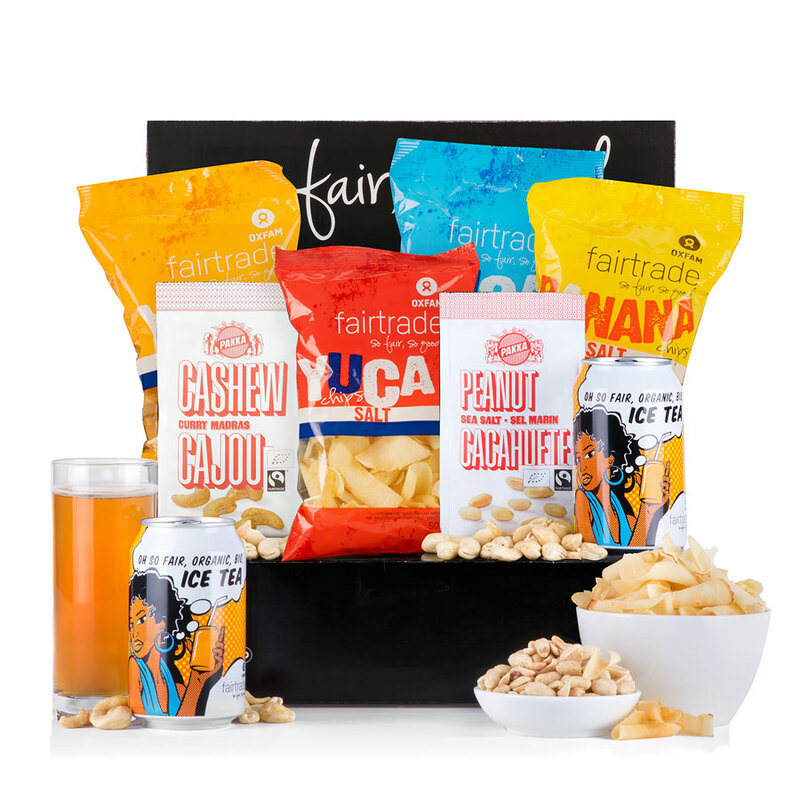 A unique Fair Trade gift idea for offices, parties, and birthdays. Please note that the bowls and glass are not included.